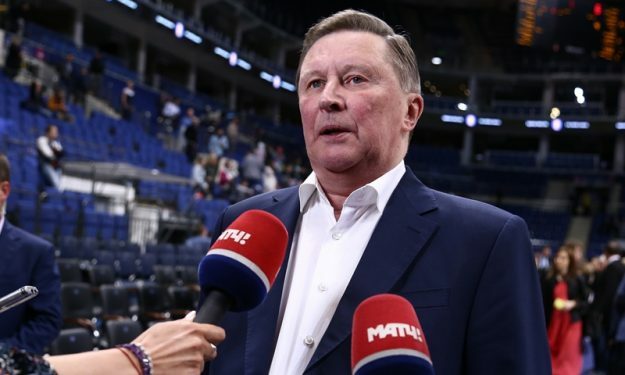 The former minister of defense and deputy prime minister of Russia, despite being a well-known supporter of CSKA, clarified that he cheers for “great basketball at the final four and not for a specific team”, before entering to details about the event. According to Ivanov a sold out was near: “As far as I understand, almost all of the tickets were sold, but the fans only came to the game in which their team was playing. There’s nothing you can do about that. It’s the nature of the Final Four. This is our first experience. The VTB Ice Palace is wonderful. Everything has been organized at a high level and we’ve had no complaints in that regard”. However, Ivanov believes that playoffs remain the better format: “In my opinion, a playoff series is far more objective and fair than a Final Four, but the clubs themselves voted for this format. We will evaluate everything, including the financial numbers: How much did the League earn on the event, how much money did the clubs who didn’t reach the Final Four lost and discuss it at the League board meeting”. And despite’s Alexey Shved’s 36 points display, Ivanov remains unimpressed: “Alexey Shved didn’t make a huge impression on me because I judge a player based not on points scored, but field-goal percentage and efficiency. In that regard, UNICS’ Jamar Smith played better and was more productive. I cheer for great basketball at the Final Four, not a specific team”.